A Rainbow of Colour Choices. Your new Dashwood entry doors and patio doors are available in 25 brilliant and contemporary Factory Painted standard colours. Door panels can be factory painted in our popular Smooth finish or in a Textured Euro finish for a rich and resilient look. 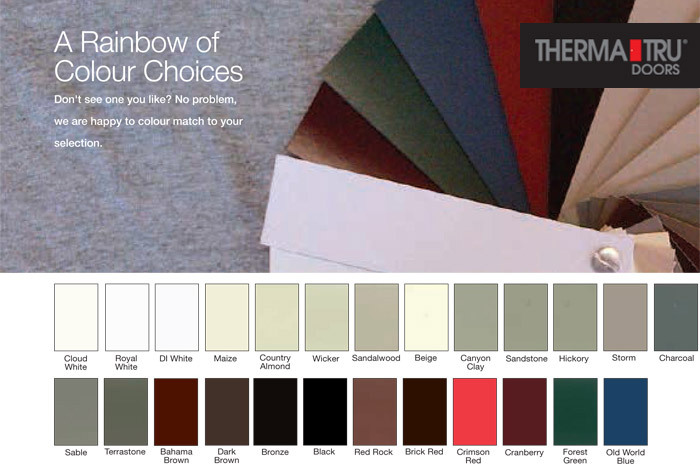 If one of these is not quite right then our custom colour matching service will specially blend a colour for you.